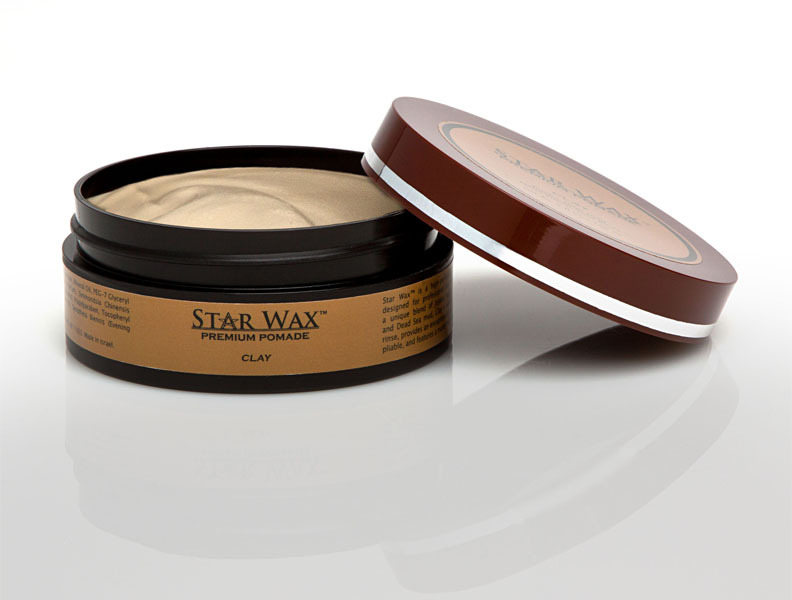 Star Wax™ Clay was created for those that prefer a matte over a shiny finish. 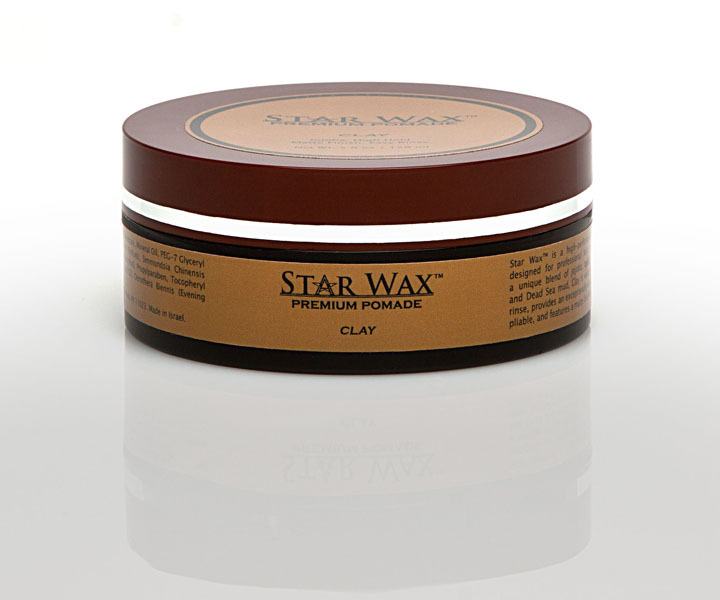 It resembles the familiar, widely acclaimed Star Wax Original formula – a winning combination of high hold that is pliable and easy to rinse – without the glossy texture. 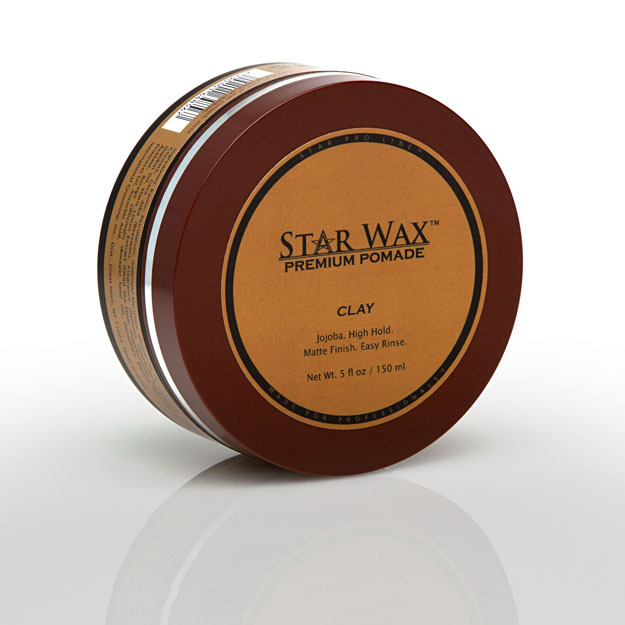 Clay is one of our strongest-hold pomades, courtesy of exotic ingredients such as jojoba, borage, evening primrose, and Dead Sea mud. 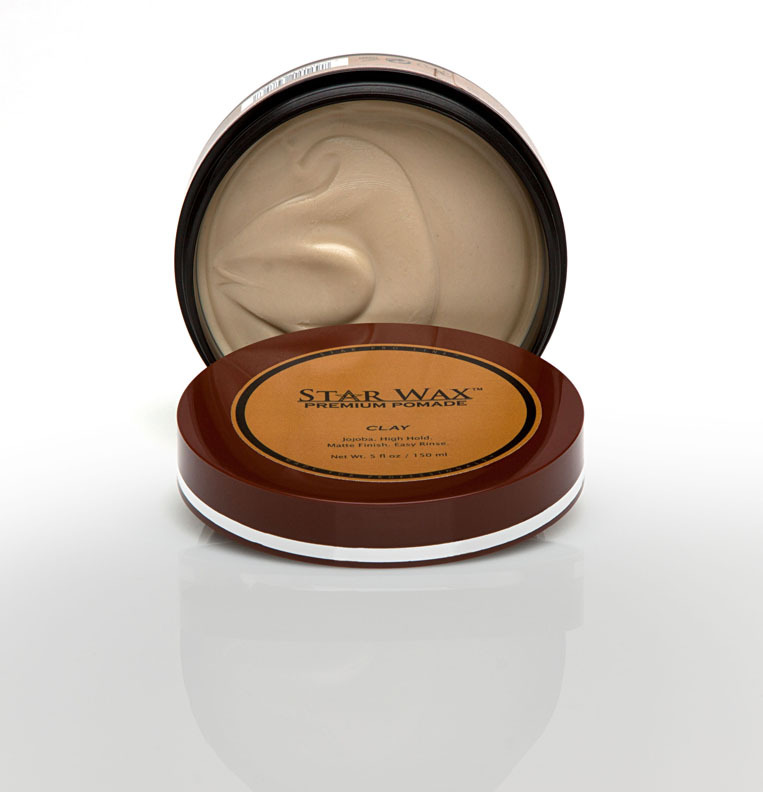 Enriched with vitamins C, E, and other antioxidants, Clay’s unique blend is designed to maximize skin-conditioning efficacy, while its water-resistant properties make it a great choice for a variety of climates, weather conditions, as well as an active, demanding lifestyle. 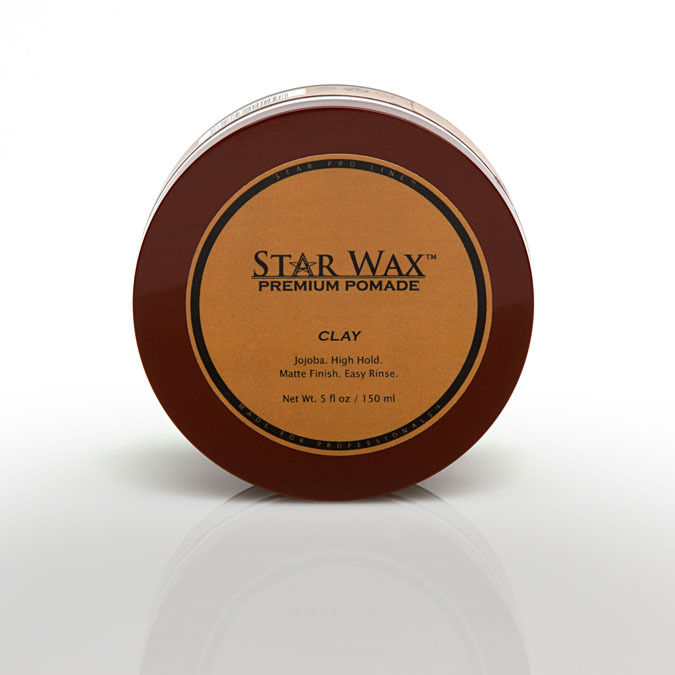 Best of all, Star Wax Clay features an energizing and stimulating fragrance. Ingredients: Kaolin, Petrolatum, Isopropyl Myristate, Mineral Oil, PEG-7 Glyceryl Cocoate, Cera Alba, Fragrance (Parfum), Phenoxyethanol, Simmondsia Chinensis Oil, Maris Limus Extract, Triethylene Glycol, Tocopheryl Acetate, Borago Officinalis Seed Oil, Oenothera Biennis Oil, Ascorbic Acid. © 2019 Star Pro Line. All Rights Reserved.